Which Pillow is Best for Each Sleep Position? How Easy is the Pillow to Care For? What’s the most comfortable type of pillow? Many people think the ideal way to get a good night’s rest is to buy a pillow which is as soft and fluffy as possible. But soft pillows aren’t always the best for your body. A firm pillow certainly doesn’t sound very pleasant. But “firm” is used relatively here. A firm pillow can still be very comfortable. It just focuses more on support than give. A firm pillow helps keep your head and neck in an appropriate position throughout the night. This type of pillow allows your spine to remain properly aligned, which helps reduce a variety of aches and pains. By contrast, your head and neck can sink into a softer pillow. While that might feel perfectly comfortable, your musculoskeletal will be out of alignment. Over time, sleeping on a soft pillow will likely lead to a variety of neck, back and shoulder problems. Pillow loft is another term for pillow height. It’s how high the pillow sits when flat on your bed. A high loft pillow will be thick while a low loft one will be thin. Most high loft pillows have a rounded appearance with a gusset, which is a side panel used to help the pillow keep a rectangular shape. The average pillow height is about five inches. Six inches is considered a high loft while three or four is considered low. These height differences might not seem like much, but they have a big influence over the position of your spine, neck, and shoulders. We’ll get into the details further down, but the main takeaway here is that pillow height is important but often overlooked. There’s no one pillow size which is perfect for everybody. Instead, you want a pillow made for your preferred sleeping position. Larger pillows are often ideal for side sleepers because the extra material helps fill the space between your head and shoulder. Standard size pillows are usually a better choice for back and stomach sleepers. Be sure and buy pillowcases which fit your specific pillows. Otherwise, the case can compress the pillow over time. Compressing the pillow can lower the loft, which then changes the pillow’s properties. Of course, people do toss and turn throughout the night. But, generally, folks primarily stay in one position most of the time. When you’re awake during the day, your spine, head, and neck naturally stay in the correct position. But your alignment isn’t protected as well when you’re laying down. Considering the average person spends about one-third of their life asleep, you could be doing serious damage to your body over time if you’re consistently sleeping in a damaging position. Poor spinal alignment causes a variety of physical and emotional problems. Sore muscles, back pain, and a stiff neck are some of the most common physical symptoms. But excessive pressure and spine misalignment can also cause headaches, insomnia, anxiety, depression and other medical maladies. The good news is no sleeping position is wrong. Sleeping on your side, back or stomach can all be healthy. However, the opposite is also true. All those sleeping positions can potentially cause alignment issues and subsequent health problems. Generally, side sleepers want a larger pillow with a relatively high loft. This type of pillow helps fill the space between your shoulders and head. Soft tissues in your shoulders and neck are then allowed to relax. Plus, the high loft (five inches or more) keeps your spine in a natural position free from strain. Sleeping on your side can potentially create problems throughout the length of your body. Many side sleepers develop problems in their lower back and legs. Placing a standard pillow between your knees helps reduce pressure while promoting proper spinal alignment. Side sleepers should avoid thin pillows. Otherwise, you’ll likely be plagued by a sore neck, back, and shoulders. Additionally, you want to sleep on your left side if possible, as that promotes good digestion, circulation, and lymphatic drainage. Back sleepers need a lot of neck support. The best option is a pillow which is thin, firm and has extra loft in the bottom third. This type of pillow will cradle your head while providing support for your neck. If the pillow is too thick, your head will be elevated too far forward, which places too much pressure on your neck. Instead, your head should fall slightly back into the pillow, which keeps your upper torso properly supported. Back sleepers want to avoid a pillow which is too soft. While the idea of sinking into your pillow probably sounds comfortable, a soft pillow will likely result in neck pain. Instead, choose a firm pillow which keeps your neck from tilting too far backward. Plus, a firm pillow can also help reduce snoring. Additionally, back sleepers will want to place a pillow underneath their knees. Doing so helps reduce pressure on your lower back. Stomach sleepers should use a thin pillow with a low loft. If the pillow is too thick and high, your head will tilt upward at an awkward, painful angle. The pillow can be firm as long as it’s also thin and low, but stomach sleepers should also consider a pillow made from down instead of memory foam. When we say the pillow should be thin, we mean it. A loft of three inches is usually ideal. While a pillow that low certainly takes some getting used to, it’s also the best way to prevent muscle problems. Unfortunately, sleeping on your stomach is generally considered the worst way to sleep. You’ll want to select the right pillow to protect your spine from long-term damage. Most firm pillows are relatively easy to care for. Unlike down pillows, most memory foam pillows require no fluffing. They’ll retain their shape night after night for many years. Generally, you’ll want to buy a new pillow every two years or so. Even the best pillows will start to lose their firmness over time. Because this firmness reduction is gradual, it’ll be hard to notice. Pay attention to the washing instructions for the pillow. Some can be thrown right into the washing machine, but others will require hand washing. Just because a pillow is firm doesn’t necessarily mean it’s packed full of material. Most firm pillows will be made in a way which allows for internal airflow. A breathable design pulls heat away from the surface of the pillow, which helps keep it cool even during warm nights. Plus, wicking also draws away sweat, which helps keep your pillow dry. Comfortable, versatile and stylish, this pack of two pillows is perfect for all sleeping positions. Each pillow is medium-firm with a plush microfiber fill. Although firm and supportive, the pillows are also fluffy and comfortable. Plus, breathable construction helps you remain cool even during warm nights. A tailored 96 GSM microfiber shell prevents bunching while also creating a soft, smooth sleeping surface. They’re available in both Standard and Queen sizes. Note that you won’t be able to use these pillows right away. They require two to three days to expand fully. You might be able to make them expand faster by placing them in a dryer with two tennis balls or hanging them from a clothesline in the sun. No matter what sleeping position you prefer, these pillows from Perfect Fit promise a perfect night’s sleep. Each pillow is made from 233-thread-count cotton with 100% Slumbersoft polyester filling. Reinforced corded edges and a gusseted quilted sidewall prevent filling breakdown while also keeping the pillow in great shape for many years. Three different pillows in the line are available, each suitable for a different sleep position. The medium density pillow, with 19 ounces of fill and a 1-inch sidewall, is best for stomach sleepers. Back sleepers should choose the Blue Firm Density pillow which has 22 ounces of fill and an inch-and-a-half sidewall. Finally, side sleepers will want the Purple Extra Firm pillow with a 2-inch sidewall and 24 ounces of fill. All pillows are naturally hypoallergenic which means they’re a good choice for allergy sufferers and anyone with asthma. Plus, the pillows are easy to clean. Unlike many other firm pillows, you can simply toss these into the washing machine. These extra firm pillows provide support to the neck, head, and spine, making them ideal for back and side sleepers. Regular use helps reduce aches and pains throughout your body. But just because a pillow is extra firm doesn’t mean it has to be uncomfortable. You’ll sleep in luxurious comfort with the pillow’s 400-thread count 100% Pima cotton fabric. Plus, a 2-inch gusset helps the pillow keep its shape. Pillows are filled with Beautyrest’s unique Nature’s Loft fiberfill. Enjoy sweet dreams with this Dough memory foam pillow. The pillow has small holes on the outside and larger holes in the middle to provide targeted, flexible support for side, back and stomach sleepers. The dough-like technology comfortably cradles your head and neck to help reduce aches and pains. 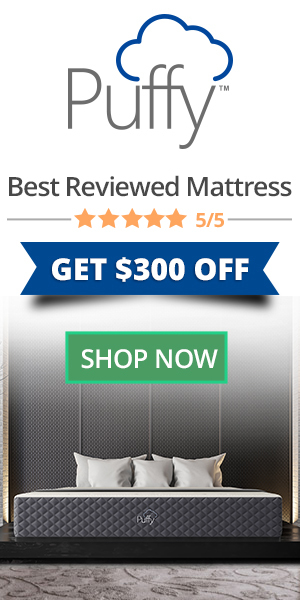 Are you a hot sleeper looking to stay cool? The pillow’s open cell technology allows for easy air circulation to help it stay comfortably cool all night long. Additionally, a removable Tencel cover helps pull moisture and heat away from your body. Naturally hypoallergenic and resistant to dust mites, this pillow is a breath of fresh air for anyone who suffers from respiratory issues. Plus, it’s easy to care for. The unique DOUGH memory foam never needs fluffing. It’s a relatively large pillow available in both King (35 by 16 inches) and Queen (29 by 16 inches) sizes. Why limit yourself to just one type of pillow? This memory foam pillow from Simply Sova has a dual-layer design which lets you adjust the level of support. If the pillow feels too firm, you can unzip the L zipper and remove an internal layer to increase the pillow’s softness. This pillow is also a great choice for allergy sufferers. The CertiPur-EU Certified Foam prevents dust and bacteria build-up. Plus, the organic bamboo pillowcase is machine washable. Finally, this is a hotel-quality pillow. It doesn’t just provide support, but it’s also soft and retains a cool temperature. Suited for both side and stomach sleepers. When people think of a comfortable pillow, they tend to think of concepts like “soft” and “fluffy.” But true comfort is the result of support for your head and torso. When your spine is properly aligned, you’ll sleep more soundly and wake up free from physical pains. If you’re looking to improve your overall sleep quality, rethink what you’re looking for in a pillow. A firm pillow might just be the pillow of your dreams!